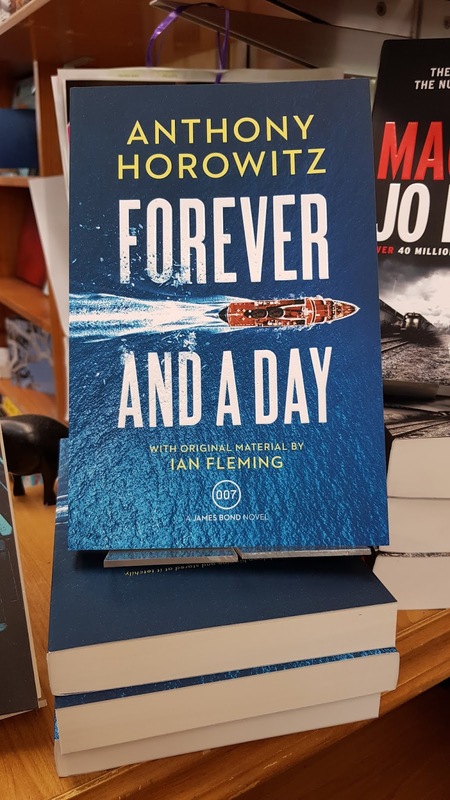 Less than one month ago, on May 31st, the latest James Bond continuation novel "Forever And A Day" was released in the UK. 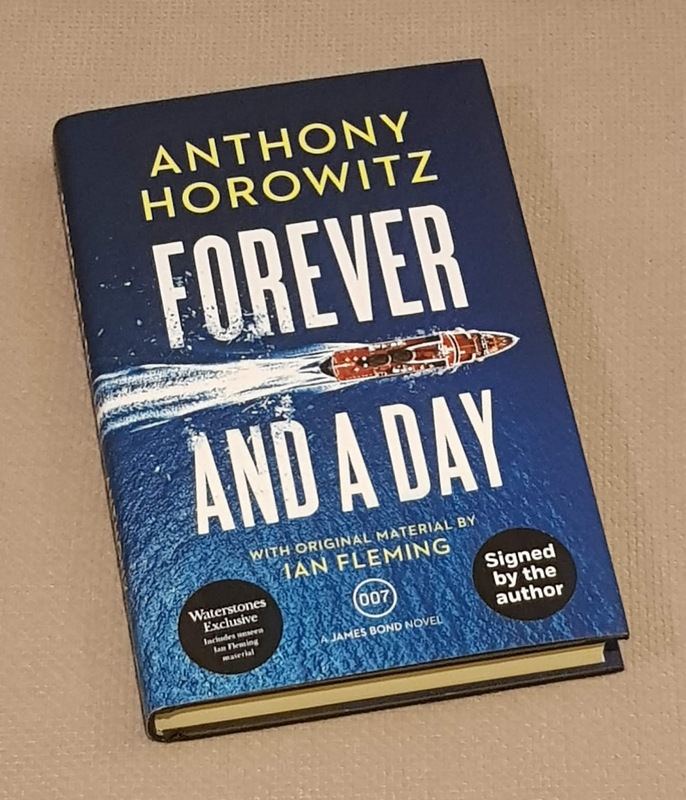 Published by Jonathan Cape it is the second Bond novel written by Anthony Horowitz following the success of his "Trigger Mortis" in 2015. 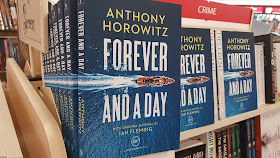 It always takes a little longer for UK titles to reach Australia and last week I noticed paperback copies of "Forever And A Day" starting to hit the shelves here. 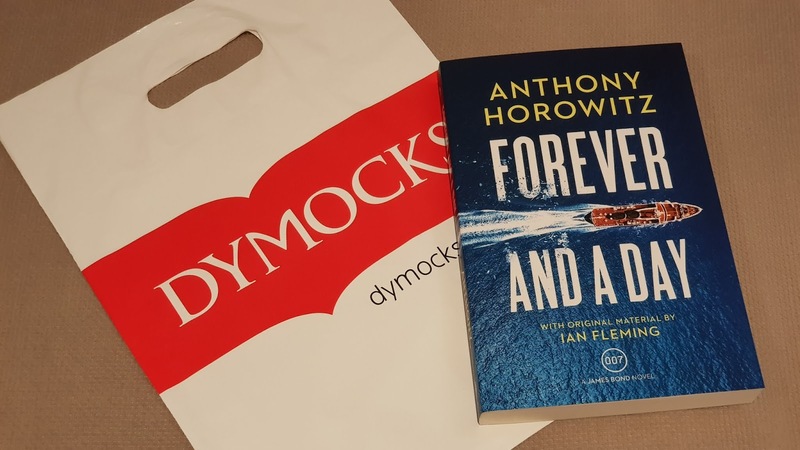 Then on the weekend at my local Dymocks store I noticed a large display of the same books for sale so purchased one for myself. 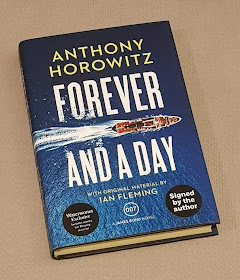 Today a signed hardback copy of the same novel arrived in the post. 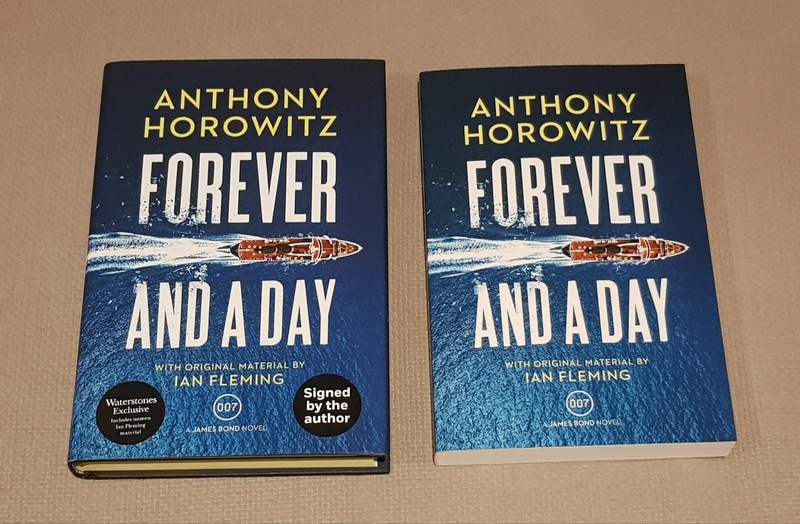 Purchased from Waterstones in the UK it has yellow edges and is signed by the author. 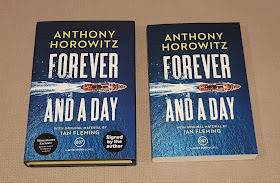 And finally here's the hardback and paperback editions together. I've already scanned the cover of the paperback and added it to PizGloria.com here. I think the cover looks great and very modern. I'm hoping for further editions to arrive in the post, as well as some promotional material to display here on this blog, but only time will tell. 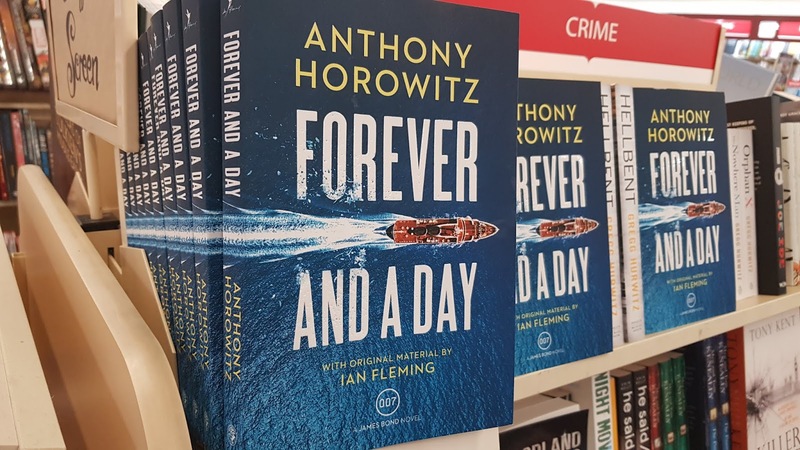 Nice to see the Waterstone's edition. I'm waiting on my copy of the Goldsboro edition. 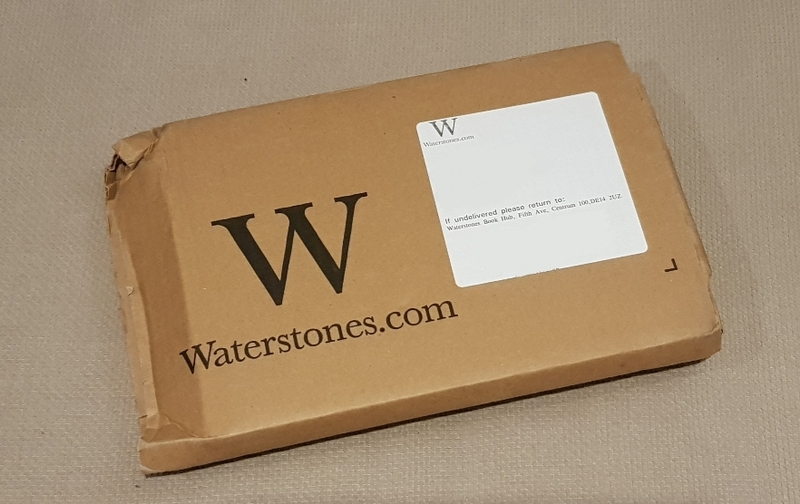 Seems to be taking a while.